Are You Using Payday Loans Just To Get By? HomeBlog BlogAre You Using Payday Loans To Just Get By? Are You Using Payday Loans To Just Get By? I was shocked the other day when I read that about 5.5% of Americans have used a payday loan sometime during the past five years. 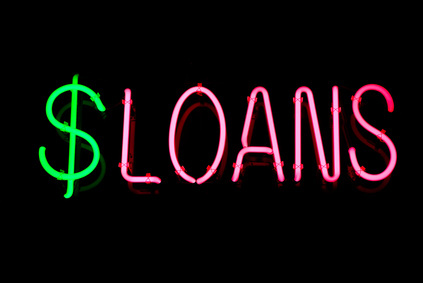 In 2010 alone, 12 million U.S adults had payday loans. Who are these people that rely on short term loans? They tend to be parents, divorced or separated people and others who are struggling to get by. Most do not have a college degree and seven in ten have an income of around $40,000 a year. According to the report I saw, more than 50% are white, female and between the ages of 25 and 44. And African-Americans are more likely to use these loans than any other race or ethnicity – despite the fact that they represent a smaller fraction of the population. Again, according to the report I saw, people take out an average of eight loans a year and that the loans average $375. And they spend $520 in interest. This means the average payday loan customer is using them more as a high-interest line of credit than a way to fix a short term problem. Most short term loans turn into long term problems. Payday loans are often a last resort for people who are desperate and feel they have no other place to turn. The biggest problem with these loans is that one tends to lead to another, which leads to yet another so that people end up in debt to the payday loan companies for months and maybe even years. Unfortunately, for many people, a payday loan is like borrowing from Peter to pay Paul as they are borrowing from tomorrow’s payday to pay for today’ s expenses. In fact, research suggests that most payday loans are used to pay for recurring items such as utility bills, medical expenses or car payments – and not for emergencies. To see why payday loans can become a vicious cycle, let’s take as an example that person who earns $40,000 a year. That translates into a payday of probably about $1,300 every two weeks. If that person borrows $375, his or her next paycheck will be less than $925 (depending on the interest charged). You can see from this example why payday loans can become a vicious cycle and that once you start using them, it becomes very hard to stop. If you do have to get a payday loan, make sure you read the documents and understand all the terms of the loan. While the lender will be providing you with money, its goal is to make money. You just need to make sure it’s not making too much money and that you can pay back the loan without having to immediately apply for another. One expert I read suggested that families could avoid having to fall back on payday loans by having a small emergency fund of maybe $500. While that’s much less than the six to nine months’ living expenses recommended by many experts, it’s a more doable goal for people with low incomes but this could be enough to help them through a bad time. If your debts have grown to the point where you feel you need a payday loan, there is a good alternative called debt settlement. This is where our debt professionals work with your creditors to reduce your balances as much as possible. When you choose National Debt Relief, instead of having to pay many large bills each month, you will make just one low monthly payment. Plus, you should be able to settle your debts within 24 to 48 months from when you started your debt settlement plan. Start with a free savings estimate and see how you can keep more of your paychecks each month instead of using a payday loan to just get by.